We may have to trim these before shipping. 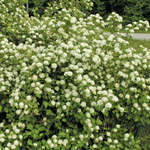 Indigo bush is a mid-size shrub with fragrant flowers. Bright orange anthers contrast with the indigo-colored, tubular petals. 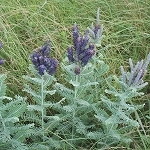 The plants contains small quantities of indigo pigments, which explains where the common name comes from. It's a good plant for wildlife. The flowers attract a variety of bees looking for nectar and pollen. It is a caterpillar host plant for the silver-spotted skipper, southern dogface, black-spotted prominent, and the common tan wave. Quail use the seeds as a food source, while red-winged blackbirds may use the plant for nesting. 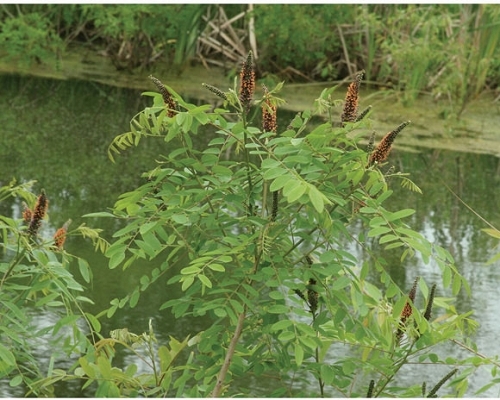 It is native to much of the United States, including Missouri, and can often be found on stream banks. However, it is not native to New England or the Pacific Northwest. In these areas, it is often listed as an invasive exotic that displaces other plants in sensitive riparian areas. A: It would probably be best to prune in winter or early spring while the plant is dormant. However, we've trimmed them in midsummer and they were fine. They don't send out runners, though the seeds remain viable for years. There are some nice specimens at the Discovery Center in KC if you want to see how they look in a more formal, landscaped setting.